Railway Recruitment Board New Delhi has given a chance to change the order of post preferences if you had done any mistake while filling application form in 2015. As many of you are waiting for the result but here you got a chance to change the order of your post. Here we mentioned the Important Points. Last date to Change the Post Preferences - 14 May 2017 (23:59 Hrs.) - Indian Standard Time. While Filling the Fresh Post Preferences follow these Strict Guideline, so as to avoid mistake. Nowafter you won't get chance to change the order. 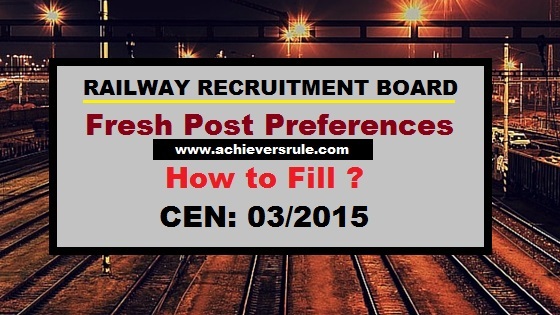 You all are requested to give fresh post preferences according to your suitablity. Here, We will show you an example of our team members. From this you will be able to undestand the logic behind the Post Order. 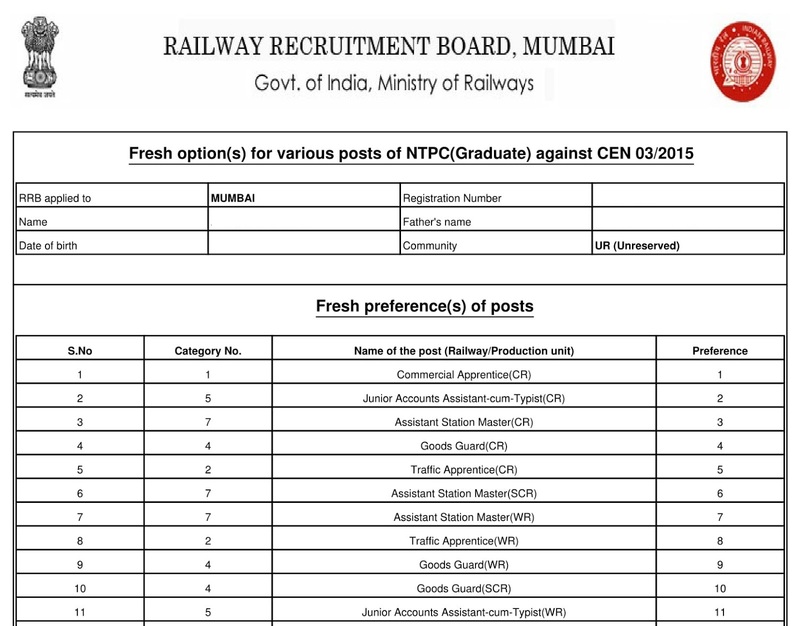 Before filling the Post Preferences, we request you to follow these guidelines. Keep Your Registraion Number while changing the Post Order / If you don't have, no need to worry directly jump to Step2. You will be asked to Enter your valid "Registration Number & D.O.B". Enter your valid registraion Number and D.O.B to login successfully and Enter the number provided in Checkbox. If you don't have Registration Number Click "Forgot Registration Numbe" or Directly Click Here. Once you login Successfully Jump to Step 5. Before Filling any post you will get Updated Lists of Posts. Just Go through this carefully and then start filling your Post Preferences. There May be some changes in Vaccancies. So Be carefull. Now Fill up the Application Form, After Filling check once again then Click "OK" for final submit. Once you submit, its all over. Don't Worry I wont join !! Its just to Maintain my Rythem. Always try to fill any application form according to your suitablity.